Choosing the right color for your home is a tough challenge. There are a number of things to consider, such as the style of your home. For instance, a beach house looks amazing in pastel colors, while a country house loves the neutral tones. So, if you are looking for some potential buyers for your house, you have to know how to make them interested. The first thing you want to do is consider the environment. You don’t want your house to stand out too much in the neighborhood; rather, you should choose the colors that can blend in nicely. Some neighborhoods have similar houses using same color palettes, while others like the custom ones. Take a trip down the street and observe your neighborhood before buying the paint for your project. Remember that if you make your home too flashy and odd, potential buyers are probably not going to find it appealing. If your home is near the water or the whole area is covered in greenery, then you might go with a combination of blue and gray for the exterior. Such shades have a certain nautical and serene feeling that calms the eyes as well as the soul. Additionally, the shades of deep blue gray go hand in hand with lush greenery around the house. As soon as you give your home such a calming shade, you will see how many buyers will simply fall in love with it. When you see the yellow color on a home the first association is happiness. There is just something in the warmth of yellow that exudes soothing atmosphere and calm feelings. However, you don’t want to choose too bright a shade. Instead, tone it down a bit and your home will simply lighten up and be filled with potential buyers in no time. If the whole design of your house resembles the Victorian style, then you might want to make it stand out a bit. Try out some shades of light blue for the base and add hints of white and brown. Those little brown and white details will help the architectural elements stand out, making your house look just heavenly. As soon as you have finished you will probably fall in love with your home once again. Not to mention how appealing it will be for the rest of the city. You may think that white is too monotonous for a house, but actually many American homes have become true icons due to this color. You can play with several shades of white and see which one blends in the best with the rest of the neighborhood. But to make it even more appealing and give it some character, you can choose creamy yellow undertones in a combination with pure white and transform your home into a true gem. Another good advice is seeking some help from the professionals. 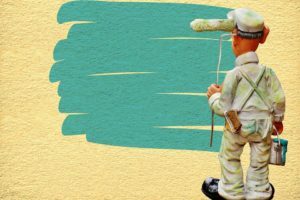 Since painting the house is similar to art, you will have to try out several shades and repeat the process a number of times until you succeed. 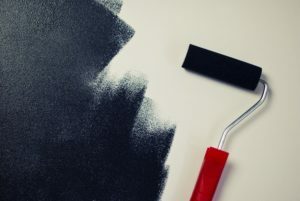 That all takes some time, but as soon as you find the perfect combination of colors and the perfect look, your house will sell in a blink of an eye. Take it from inspirational stories of people who followed Flip2Freedom to success; they make sure to consult designers, they have their own color consultants and painters and follow the latest remodeling trends, which all enables them to turn houses into real beauties inside and out. Professionals have plenty of experience which can only help you achieve your goals. 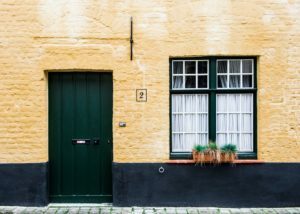 Now that you know the little secrets behind the most appealing houses, you can add yours into the mix. If you don’t believe it works, just try some of these out and see for yourself. This entry was posted in Home Improvement and tagged Exterior Home Renovations, Exterior Remodeling, Homestyle, Painting the House, style of home. Bookmark the permalink.